PowerCLI 6.5.1 has been released and in this release we have made some big changes to the way you install and keep up to date with PowerCLI! This update was all based around Microsoft PowerShell deployment models, listening to you, the customer and ensuring we are making the changes to provide the best PowerShell product going forward. As of PowerCLI 6.5.1, you no longer have a MSI file to download and install. You can now install directly from the PowerShell Gallery! This update streamlines the install process in multiple ways and allows module based features which PowerShell users will be used to from other PowerShell based additions. PowerCLI being on the PowerShell Gallery means there are some changes that users should be aware of. The first big change, there is no more MSI to perform the install and therefore you don’t download it from the VMware website! The install is done completely through PowerShell itself using the PowerShell Gallery via PowerShellGet. This means also means the other items which used to be installed by way of the MSI won’t be installed automatically. 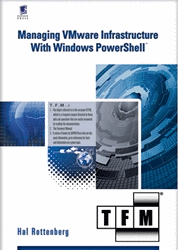 These things include the PowerCLI desktop shortcuts and the User Guide. There are two ways in which you may install PowerCLI with this new method, online and offline. Let’s take a look at how to perform these methods. The first step in moving to this new release is to uninstall any prior versions of PowerCLI which may be installed on the system by the old MSI installer, this is needed to move to the new distribution model. With the prior version of PowerCLI uninstalled, it’s time for the install! Note: If you have not accessed the PowerShell Gallery before, or perhaps have an out of date version of NuGet, you may receive a message indicating there is a missing or out-of-date NuGet provider. NuGet is a Package Management provider. These are primarily used to install, upgrade, configure, and/or remove software in an automated fashion. To accept the installation of a proper version of NuGet, hit “Y”. You will notice we’re only installing it for the current user, we do this because it doesn’t require admin access! If you would like it available for all users of the computer, your PowerShell session will have to be running as an administrator, and PowerCLI will automatically be installed for all users by changing the Scope parameter to AllUsers. Success! We now have the PowerCLI modules installed and available locally! The following method should be used to install PowerCLI through the PowerShell gallery for those systems which do not have access to the internet. You will need at least one system that has internet access and a way to move the files to the target computer. At this point, we’ll want to copy those downloaded folders and place them on the system without internet access in a location where PowerShell can find them, this is the modules folder and can be confirmed by typing $ENV:PSModulePath at the powershell prompt. One of the great enhancements in PowerCLI 6.5.1 means we no longer need to load the modules into the PowerShell session as we may have done in the past, as soon as the modules are loaded into the module folder PowerShell will automatically be aware of their existence and you will find the cmdlets registered with the PowerShell session. Normal PowerShell behaviour meanst that as soon as you use the first cmdlet the PowerCLI module will be loaded as needed. But what about the nice PowerCLI Welcome message and other functions which existed to make PowerCLI easier to use when we launched the old desktop icon? Please note the warning message about joining the Customer Experience Improvement Program (CEIP). We recommend enabling CEIP, as it’s greatly helps us improve our products! In order for the message to not appear, you either have to enable or disable CEIP by way of the Set-PowerCLIConfiguration cmdlet. The other option to load the cmdlets, simply use the cmdlets as you normally would. The modules will auto-populate as necessary! We can see the session begins without any PowerCLI modules being imported. After typing in the Connect-VIServer cmdlet (tab complete is fully operational as well), we can see the VMware.VimAutomation.Core module has been imported automatically! The other modules won’t be imported until they’re referenced. Target: C:\Windows\System32\WindowsPowerShell\v1.0\powershell.exe -noe -c "Import-Module VMware.PowerCLI"
This new install method is a very exciting improvement for PowerCLI. As seen above, this definitely streamlines the process of getting PowerCLI installed and accessible! This entry was posted in General and tagged PowerCLI on April 20, 2017 by Kyle Ruddy. One note; since VMware.vimautomation.core contains -cluster cmdlets, if you have the FailoverClusters module installed you’ll need to add the -AllowClobber parameter to the Install-Module command. Hi, when using the desktop shortcut, would that mean it won’t get loaded in other PowerShell windows? Because there are some overlaps like Get-VM between VMware PowerCLI and Hyper-V, we really need the different windows to work in. Do you still need to import https://github.com/vmware/PowerCLI-Example-Scripts/tree/master/Modules/VMware.Hv.Helper or is this now a part of the current installer? Hi Thomas, these advanced functions are not in the Horizon module. You’ll still need to import them. what is the best Method to publish powerCLI to an internal Repository? VERBOSE: Repositorydetails, Name = ‘LHSRepo’, Location = ‘\\lhs.stuttgart.de\dfsroot\lhs\scripts\psGallery’; IsTrusted = ‘True’; IsRegistered = ‘True’. VERBOSE: Ort der Veröffentlichung: “\\lhs.stuttgart.de\dfsroot\lhs\scripts\psGallery”. VERBOSE: Das Modul “VMware.PowerCLI” wurde in “C:\Users\u104018\Documents\WindowsPowerShell\Modules\VMware.PowerCLI\6.5.1.5377412” gefunden. VERBOSE: Populating RepositorySourceLocation property for module VMware.PowerCLI. VERBOSE: Loading module from path ‘C:\Users\u104018\AppData\Local\Temp\605923979\VMware.PowerCLI\VMware.PowerCLI.ps1’. VERBOSE: Populating RepositorySourceLocation property for module VMware.VimAutomation.Sdk. VERBOSE: Loading module from path ‘C:\Users\u104018\Documents\WindowsPowerShell\Modules\VMware.VimAutomation.Sdk\1.0.0.5334677\VMware.VimAutomation.Sdk.ps1’. VERBOSE: Populating RepositorySourceLocation property for module VMware.VimAutomation.Common. VERBOSE: Loading module from path ‘C:\Users\u104018\Documents\WindowsPowerShell\Modules\VMware.VimAutomation.Common\6.5.1.5335010\VMware.VimAutomation.Common.ps1’. VERBOSE: Populating RepositorySourceLocation property for module VMware.VimAutomation.Core. VERBOSE: Loading module from path ‘C:\Users\u104018\Documents\WindowsPowerShell\Modules\VMware.VimAutomation.Core\6.5.1.5374329\VMware.VimAutomation.Core.ps1’. VERBOSE: Loading module from path ‘C:\Users\u104018\Documents\WindowsPowerShell\Modules\VMware.VimAutomation.Core\6.5.1.5374329\VMware.VimAutomation.ViCore.Cmdlets.dll’. VERBOSE: Populating RepositorySourceLocation property for module VMware.VimAutomation.Srm. VERBOSE: Loading module from path ‘C:\Users\u104018\Documents\WindowsPowerShell\Modules\VMware.VimAutomation.Srm\6.5.1.5374694\VMware.VimAutomation.Srm.ps1’. VERBOSE: Loading module from path ‘C:\Users\u104018\Documents\WindowsPowerShell\Modules\VMware.VimAutomation.Srm\6.5.1.5374694\VMware.VimAutomation.Srm.Commands.dll’. VERBOSE: Populating RepositorySourceLocation property for module VMware.VimAutomation.License. VERBOSE: Loading module from path ‘C:\Users\u104018\Documents\WindowsPowerShell\Modules\VMware.VimAutomation.License\6.5.1.5375648\VMware.VimAutomation.License.ps1’. VERBOSE: Loading module from path ‘C:\Users\u104018\Documents\WindowsPowerShell\Modules\VMware.VimAutomation.License\6.5.1.5375648\VMware.VimAutomation.License.Commands.dll’. VERBOSE: Populating RepositorySourceLocation property for module VMware.VimAutomation.Vds. VERBOSE: Loading module from path ‘C:\Users\u104018\Documents\WindowsPowerShell\Modules\VMware.VimAutomation.Vds\6.5.1.5374428\VMware.VimAutomation.Vds.ps1’. VERBOSE: Loading module from path ‘C:\Users\u104018\Documents\WindowsPowerShell\Modules\VMware.VimAutomation.Vds\6.5.1.5374428\VMware.VimAutomation.Vds.Commands.dll’. VERBOSE: Populating RepositorySourceLocation property for module VMware.VimAutomation.vROps. VERBOSE: Loading module from path ‘C:\Users\u104018\Documents\WindowsPowerShell\Modules\VMware.VimAutomation.vROps\6.5.1.5375723\VMware.VimAutomation.vROps.ps1’. VERBOSE: Loading module from path ‘C:\Users\u104018\Documents\WindowsPowerShell\Modules\VMware.VimAutomation.vROps\6.5.1.5375723\VMware.VimAutomation.vROps.Commands.dll’. VERBOSE: Populating RepositorySourceLocation property for module VMware.VimAutomation.Cis.Core. VERBOSE: Loading module from path ‘C:\Users\u104018\Documents\WindowsPowerShell\Modules\VMware.VimAutomation.Cis.Core\6.5.1.5374323\VMware.VimAutomation.Cis.Core.ps1’. VERBOSE: Loading module from path ‘C:\Users\u104018\Documents\WindowsPowerShell\Modules\VMware.VimAutomation.Cis.Core\6.5.1.5374323\VMware.VimAutomation.Cis.Core.Commands.dll’. VERBOSE: Populating RepositorySourceLocation property for module VMware.VimAutomation.HA. VERBOSE: Loading module from path ‘C:\Users\u104018\Documents\WindowsPowerShell\Modules\VMware.VimAutomation.HA\6.0.0.5314477\VMware.HAModule.ps1’. VERBOSE: Loading module from path ‘C:\Users\u104018\Documents\WindowsPowerShell\Modules\VMware.VimAutomation.HA\6.0.0.5314477\VMware.VimAutomation.HA.Commands.dll’. VERBOSE: Populating RepositorySourceLocation property for module VMware.VimAutomation.HorizonView. VERBOSE: Loading module from path ‘C:\Users\u104018\Documents\WindowsPowerShell\Modules\VMware.VimAutomation.HorizonView\7.1.0.5307191\VMware.VimAutomation.HorizonView.ps1’. VERBOSE: Loading module from path ‘C:\Users\u104018\Documents\WindowsPowerShell\Modules\VMware.VimAutomation.HorizonView\7.1.0.5307191\VMware.VimAutomation.HorizonView.Commands.dll’. VERBOSE: Populating RepositorySourceLocation property for module VMware.VimAutomation.PCloud. VERBOSE: Loading module from path ‘C:\Users\u104018\Documents\WindowsPowerShell\Modules\VMware.VimAutomation.PCloud\6.5.1.5376282\VMware.VimAutomation.PCloud.ps1’. VERBOSE: Loading module from path ‘C:\Users\u104018\Documents\WindowsPowerShell\Modules\VMware.VimAutomation.PCloud\6.5.1.5376282\VMware.VimAutomation.PCloud.Commands.dll’. VERBOSE: Populating RepositorySourceLocation property for module VMware.VimAutomation.Cloud. VERBOSE: Loading module from path ‘C:\Users\u104018\Documents\WindowsPowerShell\Modules\VMware.VimAutomation.Cloud\6.5.1.5375799\VMware.VimAutomation.Cloud.ps1’. VERBOSE: Loading module from path ‘C:\Users\u104018\Documents\WindowsPowerShell\Modules\VMware.VimAutomation.Cloud\6.5.1.5375799\VMware.VimAutomation.Cloud.Commands.dll’. VERBOSE: Populating RepositorySourceLocation property for module VMware.DeployAutomation. VERBOSE: Loading module from path ‘C:\Users\u104018\Documents\WindowsPowerShell\Modules\VMware.DeployAutomation\6.5.1.5299608\Initialize-VMware_DeployAutomation.ps1’. VERBOSE: Loading module from path ‘C:\Users\u104018\Documents\WindowsPowerShell\Modules\VMware.DeployAutomation\6.5.1.5299608\VMware.DeployAutomation.ps1’. VERBOSE: Loading module from path ‘C:\Users\u104018\Documents\WindowsPowerShell\Modules\VMware.DeployAutomation\6.5.1.5299608\VMware.DeployAutomation.dll’. VERBOSE: Populating RepositorySourceLocation property for module VMware.ImageBuilder. VERBOSE: Loading module from path ‘C:\Users\u104018\Documents\WindowsPowerShell\Modules\VMware.ImageBuilder\6.5.1.5299608\VMware.ImageBuilder.ps1’. VERBOSE: Loading module from path ‘C:\Users\u104018\Documents\WindowsPowerShell\Modules\VMware.ImageBuilder\6.5.1.5299608\VMware.ImageBuilder.dll’. VERBOSE: Populating RepositorySourceLocation property for module VMware.VimAutomation.Storage. VERBOSE: Loading module from path ‘C:\Users\u104018\Documents\WindowsPowerShell\Modules\VMware.VimAutomation.Storage\6.5.1.5374001\VMware.VimAutomation.Storage.ps1’. VERBOSE: Loading module from path ‘C:\Users\u104018\Documents\WindowsPowerShell\Modules\VMware.VimAutomation.Storage\6.5.1.5374001\VMware.VimAutomation.Storage.Commands.dll’. VERBOSE: Populating RepositorySourceLocation property for module VMware.VimAutomation.StorageUtility. VERBOSE: Loading module from path ‘C:\Users\u104018\Documents\WindowsPowerShell\Modules\VMware.VimAutomation.StorageUtility\1.0\StorageUtility.psm1’. VERBOSE: Populating RepositorySourceLocation property for module VMware.VumAutomation. VERBOSE: Loading module from path ‘C:\Users\u104018\Documents\WindowsPowerShell\Modules\VMware.VumAutomation\6.5.1.5301639\VMware.VumAutomation.ps1’. VERBOSE: Loading module from path ‘C:\Users\u104018\Documents\WindowsPowerShell\Modules\VMware.VumAutomation\6.5.1.5301639\VMware.VumAutomation.dll’. VERBOSE: Der Anbieter “PowerShellGet” wird für die Paketsuche verwendet. VERBOSE: Die angegebenen Quellnamen werden verwendet: ‘LHSRepo’. VERBOSE: Das Anbieterobjekt für den PackageManagement-Anbieter “NuGet” wird abgerufen. VERBOSE: Der angegebene Speicherort ist “\\lhs.stuttgart.de\dfsroot\lhs\scripts\psGallery”, und PackageManagementProvider ist “NuGet”. VERBOSE: Total package yield:’0′ for the specified package ‘VMware.PowerCLI’. VERBOSE: Total package yield:’0′ for the specified package ‘VMware.VimAutomation.Sdk’. ExternalModuleDependencies-Eintrag im PSData-Abschnitt des Modulmanifests hinzu. Publish-Module will not include module dependencies. It expects those modules to already be in the repository. So you’ll need to publish each module that VMware.PowerCLI depends on separately. By publishing the other VMware modules first, I’ve successfully re-published VMware.PowerCLI 6.5.1 to an internal NuGet repo that I use only for PowerShell modules. If you have modules with conflicting cmdlets (ex. Get-Cluster) on your system, use the -NoClobber switch on the Install-Module cmdlet! Thanks for sharing the install process updates . Its really helpful for me . ‘C:\Users\UserName\AppData\Local\Temp\acdc2k22\InternalVimService50.dll’ because it is being used by another process. I have tried with admin and non-admin user. It fails with different *.dll file. I receive the same error when I use save-module. VERBOSE: Hash for package ‘VMware.VimAutomation.Cis.Core’ does not match hash provided from the server. My OS is Win7 SP1 x64. Make sure that you’ve uninstalled previous versions of PowerCLI, closed all other PowerShell sessions, the PowerShell ISE, etc. Many thanks for your reply Alex! Directory record could not be found. I used Process Monitor this time but captured about 1GB of events. I excluded all SUCESS events and searched for VMware.VimAutomation.HA. Right-click PowerShell_ISE.exe and Run as administrator. I had this problem as well, was solved by disabling Antivirus during installation. Publish-PSArtifactUtility : Failed to publish module ‘VMware.VimAutomation.Core’: ‘Failed to process request. ‘A nuget package’s Tags property may not be more than 4000 characters long.’. The remote server returned an error: (500) Internal Server Error..
PowerShellGet requires NuGet provider version ‘2.8.5.201’ or newer to interact with NuGet-based repositories. The NuGet provider must be available in ‘C:\ProgramFiles\PackageManagement\ProviderAssemblies’ or ‘C:\Users\UserName\AppData\Local\PackageManagement\ProviderAssemblies’. You can also install the NuGet provider by running ‘Install-PackageProvider -Name NuGet -MinimumVersion 2.8.5.201 -Force’. Do you want PowerShellGet to install and import the NuGet provider now? PackageManagement\Install-PackageProvider : No match was found for the specified search criteria for the provider ‘NuGet’. The package provider requires ‘PackageManagement’ and ‘Provider’ tags. Please check if the specified package has the tags. PackageManagement\Import-PackageProvider : No match was found for the specified search criteria and provider name ‘NuGet’. Try ‘Get-PackageProvider -ListAvailable’ to see if the provider exists on the system. PackageManagement\Get-PackageProvider : Unable to find package provider ‘NuGet’. It may not be imported yet. Try ‘Get-PackageProvider -ListAvailable’. Find-Module : NuGet provider is required to interact with NuGet-based repositories. Please ensure that ‘2.8.5.201’ or newer version of NuGet provider is installed. I had the same issue. Turned out to be my AV client installed on my system (Trend Micro OfficeScan). I unloaded the AV client and was able to install PowerCLI successfully. Looks like I am been blocked at proxy when I am trying to install packageprovider NuGet. Is there any alternate to upgrade powrcli to latest with MSI ? VERBOSE: Using the provider ‘Bootstrap’ for searching packages. VERBOSE: Using the provider ‘PowerShellGet’ for searching packages. VERBOSE: Finding the package ‘Bootstrap::FindPackage’ ‘NuGet’,”,”,”’. VERBOSE: Unable to download from URI ‘https://go.microsoft.com/fwlink/?LinkID=627338&clcid=0x409’ to ”. specified package has the tags. I have had the same issue and upon checking it seems to be happening because FIPS encryption was enabled. disable the FIPS and you won’t face any issue with Nuget Package provider. Is it possible to get a copy of the icon file to use for our desktop shortcuts? when I uninstalled the old Powercli, it deleted the old icon. This! Yes, please give us an icon! i have a 32Bit process using the (old=6.5.0) PowerCLI, after migrating to 6.5.1 the module is only available for 64Bit process (Modules in C:\Program Files\WindowsPowerShell\Modules\…), i copied the files from said director to C:\Program Files (x86)\WindowsPowerShell\Modules, and it seems to work, is this the recommended way to make PowerCLI available für 32Bit processes? Are we going to be able to install and run PowerCLI this way sometime in the future on the cross-platform PowerShell for macOS and Linux? This Server has no Internet Connection. …brings up: The procedure entry point could not be located in the dynamic link library c:\windows\system32\WindowsPowerShell\v1.0\Modules\VMware.VimAutomation.Core\6.5.1.5374329\VMware Remote Console\vmrc.exe. If I try to deinstall the “older” VMware remote console it will get even worse… Several Errors occur like this one: The program can’t start because vmapputil.dll is missing from your computer. Try reinstalling the program to fix this Problem. The same Errors come up with vmdbCOM.dll, glib-2.0.dll, sigc-2.0.dll…. Any ideas how I can get OpenVMConsoleWindows to work? Welcome to 1965. Let’s all get out our DOS manual and figure out how to do everything from the command line, including how to even install things. So we will no longer be able to download anything like a recognizable install file from the primary location that we get absolutely everything VMware from. What moron thought this was a good idea? For those people that have no interest in security and have no firewalls, I suppose this might seem like something interesting. But I am behind multiple firewalls with strong anti-virus and frankly there is no way that I am going to be able to install this package as intended. From just these few posts above, this is going to create a major headache. I can guarantee you that I will have every one of the problems listed above trying to get this 1965 atrocity to work. Just why are you fixing something that was not broke?????? An MSI is a perfectly viable tool for installing and distributing software. It is easily distributable with tools like System Center, or HPSA, or any number of other enterprise management tools from the 20th century. When you get this back to a point ( at least year 2000) where I can download it from a recognized VMware source, double click on it to install it, call me. Because moving to install-module allows for cross-platform compatibility for management, something they’ve been saying they wanted to support for quite some time. This coincides with the near future removal of a Windows server for vCenter, and the removal of the Windows thick client. Everything’s going to OS agnostic. The “tab complete” function doesn’t work for parameters on Windows 2016. For example, I input ‘get-vmhost -‘ then hit tab key, nothing reflect here. while an MSI would have solved all the troubles at once now to use an ISO customization PSscript I have to install your powerCli, Nuget and files to use PowershellGallery -which doesn’t work and I have to waste time to check why. Can I install this on a workstation that has Hyper-V role installed along with powershell commandlets associated with it? I thought I could use the -AllowClobber switch, but worried it will affect my Hyper-V commandlets? Yes, using the -AllowClobber switch will allow both sets of modules to co-exist even with though they have overlapping (name-wise) cmdlets. I just installed the new version on my laptop and it is sweet! I am going to update my PowerShell Web Access server with the new version and really kick things up a notch! Thanks again Kyle!!! Seems like this is impossible to install on Windows 7. I’ve moved to Windows 10 but most of my team is still on 7. Find-Module and Install-Module are not available in PowerShell 3.0. I can’t upgrade to PowerShell 5.1 because 3.0 is installed. The uninstall of 3.0 fails. I can’t install 4.0 or 5.0 as they fail at the end of the installation with no useful information. I’ve tried this on a Win7 VM and a Win7 laptop that were created with two separate builds. Am I stuck with PowerCLI 6.3? Have you tried installing PowerShellGet? That will install and make available the *-module cmdlets. Did a save-module as we don’t have direct internet access. Normal modules have files beneath the folder name – VMware doesn’t – VMware folders have another folder with the version number and files under there. Tried copying the files from under the version number folder into the root. The modules are then listed but cannot be imported. How do I make these modules available please? Thanks. That was good to integrate the PowrCLI into Powershell. After Importing Module 6.5, when i am trying to add Additional NiC Card for 10+ Servers and run the script, I used to get error “New-NetworkAdapter : Cannot process argument transformation on parameter ‘VM’. This parameter no longer accepts an Array. As an alternative you may pass multiple values by pipeline (if supported by the parameter). Script contains the below lines. authenticode signature of the file ‘VMware.VimAutomation.Sdk.cat’ is not valid. Could not even save module in specified path and getting below error. ARNING: Package ‘VMware.VimAutomation.Core’ failed to install. ARNING: Dependent Package ‘VMware.VimAutomation.Core’ failed to install. ARNING: Package ‘VMware.PowerCLI’ failed to install. ackageManagement\Save-Package : Unable to save the module ‘VMware.PowerCLI’. VMWare.Vim.dll is not strongly named and hence can’t be added to GAC as a result our .Net application is not able to found dependent DLL’s while trying to make a connection to vCenter server. Should’t powercli installation from powershell gallery take care of automatically adding the dll’s to GAC for .NET based applicaiton to work fine. VERBOSE: Checking for updates for module ‘VMware.PowerCLI’. VERBOSE: Using the specified source names : ‘PSGallery’. VERBOSE: Getting the provider object for the PackageManagement Provider ‘NuGet’. VERBOSE: The specified Location is ‘https://www.powershellgallery.com/api/v2/’ and PackageManagementProvider is ‘NuGet’. VERBOSE: Searching repository ‘https://www.powershellgallery.com/api/v2/FindPackagesById()?id=’VMware.PowerCLI” for ”. VERBOSE: Total package yield:’1’ for the specified package ‘VMware.PowerCLI’. VERBOSE: Skipping installed module VMware.PowerCLI 6.5.4.7155375. Yes i Agree. Great article emi thanks for sharing. adding the dll’s to GAC for .NET based applicaiton to work fine. Wouldn’t it be better to depreciate this article in favour of the PowerShell Gallery PowerCLI module, now currently running at v11.1 ? Running this old EXE cause problem when people discover the new PowerCLI module. It also is the top most article when you search for PowerCLI. Even if you just added a note to the top of the article, that would be good. 11:28:35.280 + ~~~~~~~~~~~~~~~~~~~~~~~~~~~~~~~~~~~~~~~ [<>] Exception: Cannot validate argument on parameter ‘private:configFile’. The ” Test-Path $_ -PathType Leaf ” validation script for the argument with value “D:\GoAgent\pipelines\EMSWeb.Deploy.Dev\ReleaseArtifacts/MS/Web.Config” did not return a result of True. I am using below code for web.config deployment in deploy.ps1 file, Please help. Thank you. I was searching for VMWare PowerCLI Blog in details from quite a few days. very nice information you share with us. thanks for such a wonderful information you share with us.